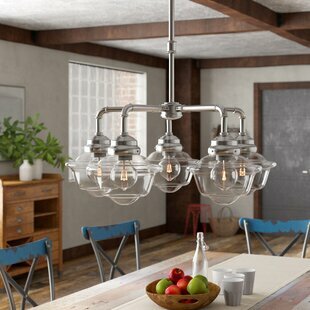 A beautiful way to brighten up space, this 5-Light Shaded Chandelier utilizes its shiny chrome finish and bright white shades to create a truly unique and appealing design. 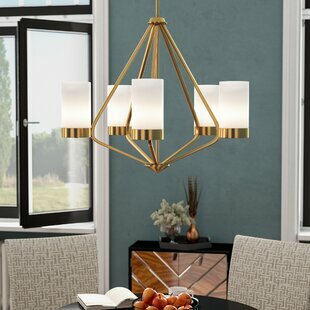 This chandelier is very versatile and can look stunning over a stylish dining room table or can be a centerpiece in a sunroom where the chrome finish delicately reflects the sunlight. 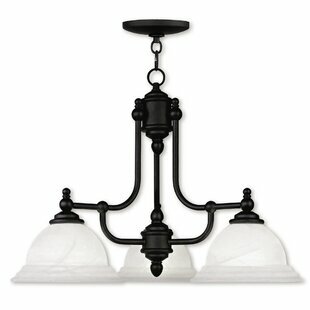 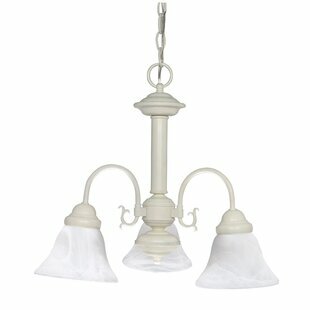 Add a vintage Edison candelabra base bulb for a look that is all your own. 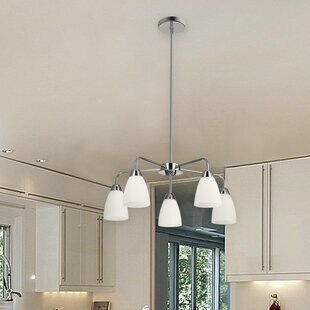 Includes all mounting hardware for quick and easy installation. 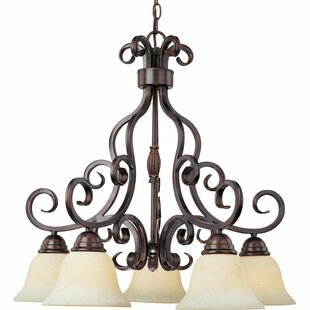 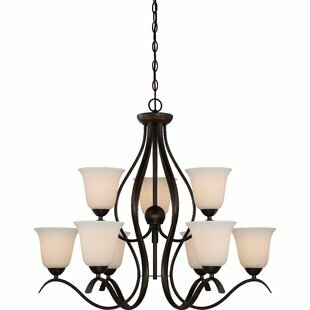 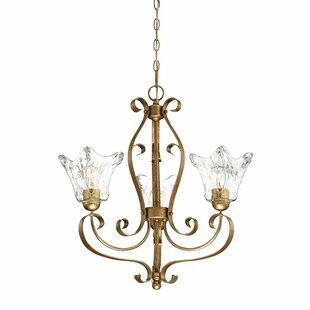 Number of Lights: 5 Fixture Design: Shaded Chandelier Adjustable Hanging Length: Yes Fixture: 7.86 H x 21.85 W x 21.85 D Overall Weight: 3.8lb.